A new law implemented in March with initial provisions effective November 1, 2016 and additional provisions effective January 1, 2017, significantly overhauls the French immigration system. Notably, there is a new short-term work permit exemption, a new immigration category for highly-skilled foreign workers that combines 10 professional immigration categories and a new intracompany transferee (ICT) permit that replaces the previous salarié en mission détaché permit and implements the EU Directive on ICTs, among other changes. A new law implemented in March with initial provisions effective November 1, 2016 (with a transitional phase) and additional provisions effective January 1, 2017, significantly overhauls the French immigration system, and includes measures to attract skilled foreign talent and increase employer requirements to combat illegal immigration and illegal work. The most significant changes affecting employers are explained below. A short-term work permit exemption has been introduced for assignments up to 90 days in designated sectors and for specific types of assignments. The exemption does not relieve the employer of the obligations regarding posted workers, nor the obligation for visa nationals to obtain a Schengen entry visa. Employees under this exemption still require an assignment letter or contract addendum in addition to other documents regarding the nature of the assignment. The law allows foreign workers to obtain a new multi-year residence permit after an initial year in France under a legal immigration status. The residence permit will be issued for a period of two to four years, reducing the amount of renewals required prior to eligibility for a long-term residence permit (carte de résident). Previously, many residence permits were issued on an annual basis. The new intracompany transferee (ICT) permit salarié détaché ICT (ICT Seconded Worker Permit) replaces the previous ICT permit salarié en mission détaché, and implements the EU Directive on ICTs. The category simplifies the application process for ICTs holding senior management positions or providing expertise to the host company. A new category has been created - called the ICT Mobile Permit - that allows foreign nationals holding an ICT permit in one EU Member State to work temporarily in France without obtaining a new work permit. A notification procedure has been implemented for short-term assignees. The filing of a secondment declaration remains mandatory as well as all obligations related to the secondment status. For assignments of more than 90 days, a residence permit must be obtained. Foreign nationals entering for training purposes in a company of the same corporate group may obtain a long-stay visa (ICT Trainee Permit) which will be valid for the duration of the internship, up to one year. Foreign nationals holding a valid ICT trainee permit in another EU Member State can undertake an internship in France in a company within the same corporate group under the ICT Trainee Mobile Permit. For short-term trainees, the ICT Mobile Permit notification procedure applies. The provisional authorization of stay for foreign students remaining in France after the completion of their studies has been expanded and relaxed. Under the new rules, the Autorisation provisoire de séjour pour étudiant en recherché d'emploi (APS) status - which facilities the post-graduation employment process for foreign students - has been expanded to include more degree programs, and is no longer strictly limited to students with a Master's degree or a higher diploma. Eligible foreign students are also eligible for a new permit that allows the creation of a new business in France. The new law includes increased responsibilities for foreign workers to report any changes to his or her situation in France (e.g., change in home address, employer, civil status, among others). It also grants the immigration authorities the right to obtain information from other administrative bodies or public organizations to randomly confirm foreign nationals' compliance with French immigration rules. In the initial implementation phase of the new law, employers and foreign nationals should expect immigration application processing delays. Employers and foreign workers should contact their immigration professional well in advance of a planned assignment to discuss new processing times, document requirements and eligibility criteria. Employers and foreign nationals applying under the ICT Seconded Worker Permit, ICT Trainee and Talents Passport categories should see a streamlined application process as these application will be filed at French consulates abroad, as opposed to in France. 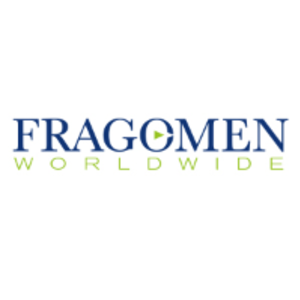 Fragomen worked closely with Karl Waheed Avocats (Paris) to prepare this alert. It is for informational purposes only. If you have any questions, please contact the global immigration professional with whom you work at Fragomen or send an email to emea@fragomen.com.